A new rumour indicates that the second generation of AirPods won't have any cosmetic changes, but will feature better bass response, Bluetooth 5.0 and possibly even a heart-rate sensor. Alongside the second generation of the wireless earphones, customers can also expect the wireless charging mat from Apple to start shipping. AirPods have been a big success for Apple, despite the initial scepticism about how easy they would be to manage. The first generation of wireless earphones by Apple have had a warm reception, but there is always room for improvement. There are new rumours coming forward about the second generation of wireless earphones from Apple and they could be promising. 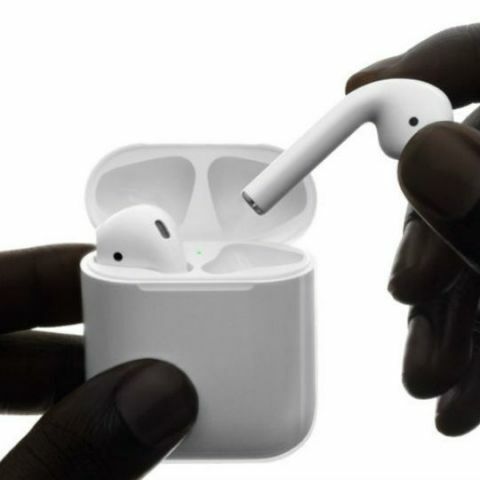 The first thing that the new rumour, which comes courtesy of MySmartPrice, clarifies that the AirPods 2 will not have any cosmetic changes, save for a new coating that is supposed to help with added grip. Most of the changes will be on the inside, starting with Bluetooth 5.0 Low Standard which we got wind of last year in November. Beyond the Bluetooth, the rumour according to MySmartPrice says that the AirPods 2 will feature tighter bass response. In addition to the tweaked sound profile, the AirPods 2 are also rumoured to sport fitness-centric sensors such as a heart-rate sensor. The battery life is expected to be the same as the current generation AirPods. Interestingly, there has been a lot of demand for a black variant of the AirPods and it appears that the second generation of the wireless earphones will have one. Additionally, the price is expected to go up from $150 to $200. In addition, AirPods 2, MySmartPrice is also reporting that the fabled AirPower Wireless Charging mat will also debut this spring, alongside a wireless charging case for the original AirPods. The AirPower wireless charging mat has faced significant production issues, being delayed continuously since its announcement alongside the iPhone X in 2017. Rumours around Apple devices tend to travel the entire gamut from likely to unlikely, so what Apple finally does with the second generation of AirPods 2 remains to be seen. However, it would be nice to finally see the company launch the AirPower mat, a wireless charging mat for Apple devices that has struggled through its development. Hopefully, Apple has ironed out the issues and is ready to launch the mat to the consumers. Related Read: Apple's next generation AirPods might launch in first half of 2019 with "health monitoring features"